Illegal in 38 states–frowned upon in the rest, is the current tagline for this blog. However, it is now illegal in all 50 states, the United States Virgin Islands, American Samoa, Guam, the Northern Mariana Islands, and Frowned upon in Puerto Rico. Not a change in the blog, but in the tagline; the statement above is just too wordy to be a tagline. Note: this blog is still legal and well received in the District of Columbia, various militia run compounds that have declared independence from the United States, and the Vatican. So it’s time to choose a new tagline. idiotprufs: the blog that once made Pope Francis laugh so hard he peed himself. idiotprufs: the blog that is widely used as currency in Bolivian prisons. idiotprufs: the blog that took the Tide pod challenge and thought it was delicious. idiotprufs: that blog that was shattered when The Amish Mafia was taken off the air. idiotprufs: the blog that just can’t get the theme song from The Poseidon Adventure out of its head. idiotprufs: the blog that was heartbroken when it discovered Mary Poppins isn’t a true story. idiotprufs: the blog with cat-like reflexes and is as equally adept at using a litter box. idiotprufs: the blog that has in no way been influenced by the Russians. idiotprufs: the blog that used to call itself Miranda. idiotrufs: the best way to spend the day if Jumbles are too complicated for you. 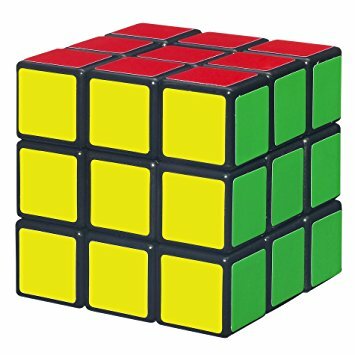 idiotprufs: the blog the solved two sides of the Rubik’s Cube then just gave up. idiotprufs: the blog that was thrown out of a party after it made a rude comment about another blog’s toupee. idiotprufs: the blog that is convinced that Rudy was offsides. idiotprufs: the blog that lives in a glass house, but throws stones anyway. idiotprufs: the blog that’s been pepper-sprayed far more times than is reasonable. idiotprufs: the blog that leaves a stain that you just can’t get out. idiotprufs: the blog that once met the Dali Lama and thought he was kind of full of himself. idiotprufs: the blog that hates it when it burns it tongue on hot coffee and then can’t taste anything the rest of day. idiotprufs: the blog that is frequently printed out just to be used to line bird cages. idiotprufs: the blog that’s frequently crapped on by birds. idiotprufs: the blog that just found out the word is spelled: idiotproofs. idiotprufs: what the hell else are gonna do with your time? One of these lucky taglines will become the new tagline for this blog. The blog that couldn’t get this far. That’s just the type of thing a Russian bot might say. idiotprufs: what the hell else are gonna do with your time? Is my choice!, runner up is the Russians! What the hell else are you gonna do?